Our exclusive line of Toy Haulers are quickly becoming the hot items in the industry. 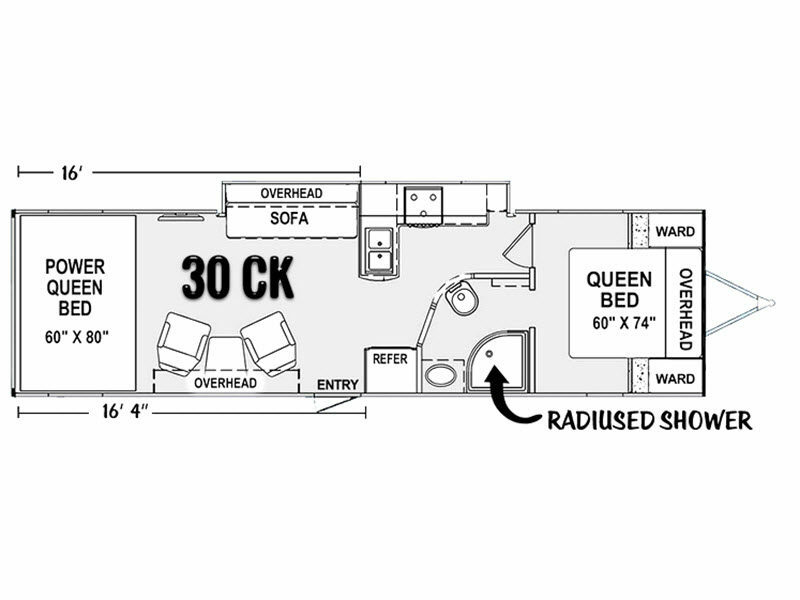 Our floor plans are designed to give the outdoor enthusiasts many of the comforts found in a Class A motorhome, yet is rugged enough to meet the demands of your toys. With more tie downs than any other toy hauler, your toys will be safe for all your ventures. Large master suite with plenty of extra sleeping/seating, makes the Genesis Supreme Toy Hauler a special class of trailers.